[20 Jul 2018] WTS Travel & Tours is offering return bus ticket and 1-day entrance ticket combo package to Desaru Coast Adventure Waterpark. 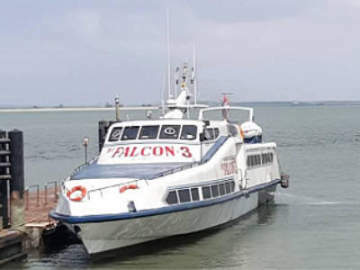 The WTC coach leaves Singapore Flyer at 9am and fetch passengers at the coach bay Desaru Coast Adventure Waterpark at 5.30pm for the return trip. The Desaru Coast Waterpark is one of the biggest in the world and boasts more than 20 wet and dry rides, slides and attractions; including the largest wave pool in Southeast Asia and the first water coaster in the region. The WTS coach promotion is valid from 19 July 2018 to 14 October 2018 and available from Thursday to Sunday only. So book your ticket now for your next family outing and weekend getaway. For more information on the combo package, click here. If you need to book the express bus ticket only, click here. 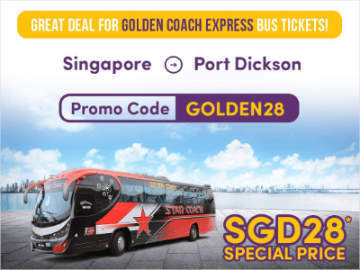 WTS Travel is a leading express bus operator in Singapore that provides luxury coach services from various pick-up points e.g. Singapore Flyer, Tampines Hub and Jurong East to popular destinations in Malaysia including Malacca, Kuala Lumpur, Genting Highlands and etc.